I heard today that Timmy died. He had a nice retirement after showing with us. 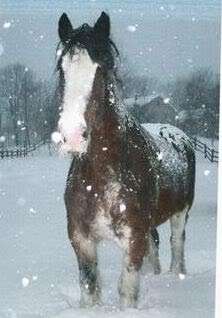 This picture is the last one I have of him, taken on the farm he lived out his days on, somewhere in NH. Vale, Timmy. Gosh, he was beautiful, mustache and all.